Sam Smith announces his highly anticipated sophomore album, “The Thrill of It All” released via Capitol Records worldwide on 3rd November. “Too Good At Goodbyes”, the first single off the new album, saw global success hitting #1 in the UK and Global Spotify Charts, #1 in the UK and US iTunes charts and entering the official UK charts at #1 making it Sam’s sixth UK number one single. ‘The Thrill of It All’ sees Sam once again working alongside close friend and longterm collaborator Jimmy Napes as well as the likes of Timbaland, Malay, Jason “Poo Bear” Boyd and Stargate. The album also sees Sam collaborate with unsigned artist, YEBBA for their breath-taking track “No Peace”. It’s been over three years since Sam Smith’s debut album was released, and since then he has become one of the biggest acts on the planet with over 12 million global album sales and an array of impressive awards, including an Academy Award, a Golden Globe, three Brit Awards and four Grammy’s, among others. Sam Smith’s debut album “In The Lonely Hour” will always be one of those unforgettable records that will forever make people cry as much as Adele’s “21” and that’s a beautiful thing. 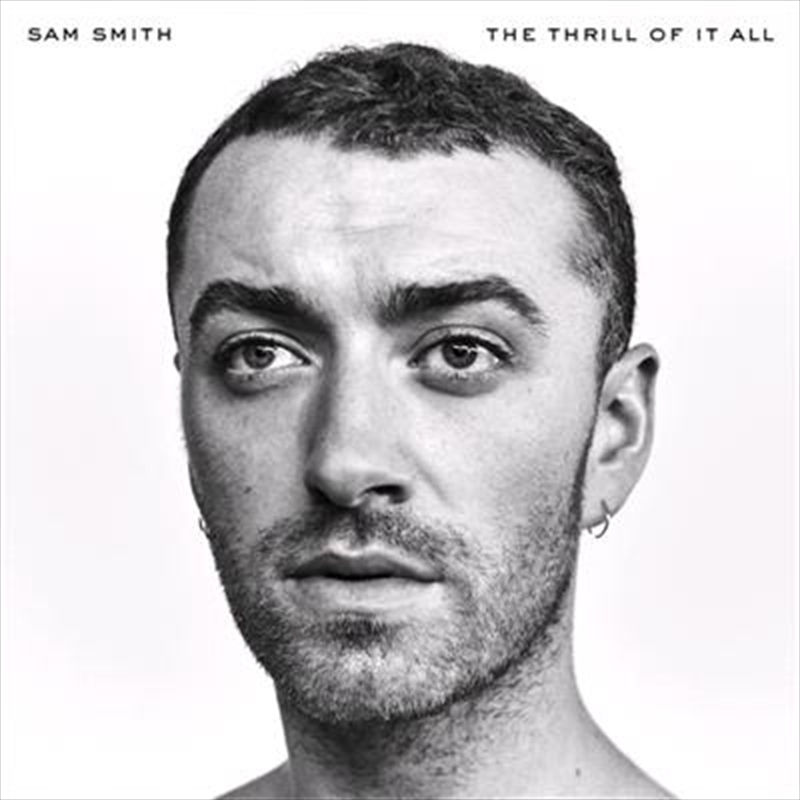 His second studio album “The Thrill Of It All” was always going to be heavily examined under the microscope and sadly it just doesn’t live up to the hype it’s predecessor set. The theme surrounding this record is incredibly sad but his voice was made for sadness so it works for him. He has this captivating way of breaking your heart and putting it back together again. He will also make you feel heartbroken and angry at your ex even if you don’t have a ex. His storytelling is so compelling and that is this records strong point. However where it falls flat is the delivery. Melodically the songs are all the same. He doesn’t grow or evolve as an artist from the last record and is just stuck regurgitating the same harmonies and emotions. I was waiting for more massive moments of empowerment but they never really came. Don’t get me wrong there are some strong tracks that will have you feeling all emotional but it’s not the same groundbreaking level soul-pop his debut cemented. Lead single “Too Good At Goodbyes” is a slow burner that eventually grows on you while “Pray” is instantly likeable with its strong gospel influence and production experimentation. The raw emotions pour through his vocal delivery making some of these average songs worth having on in the background.